GMU is the Geotechnical Engineer of Record for the new development at 400 Spectrum Center Drive, including a new 6-level parking structure, 20-story office tower, and the first privately built soil nail wall in the City of Irvine. This wall, designed by GMU, is shown under construction below. 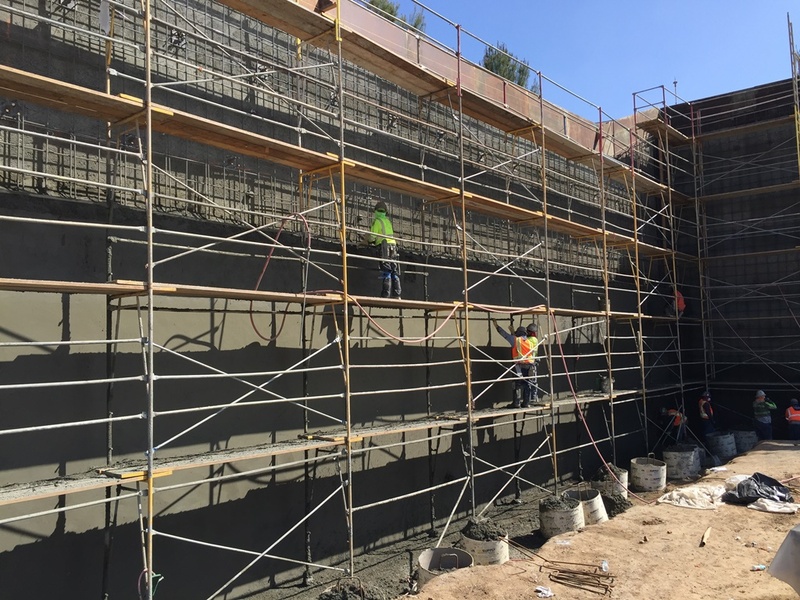 In addition to this soil nail wall, other innovative geotechnical foundation support solutions were used for support of the parking structure and the Class “A” office tower. Stay tuned for more images from this on-going project in the next few weeks!